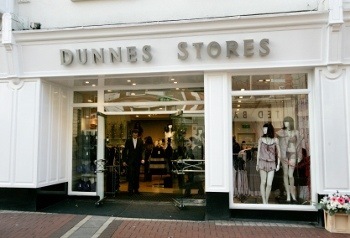 A petition to wind-up Dunnes Stores has been withdrawn at the Commercial Court, after the retail giant which employs 18,000 people, paid a €21.6m debt. The winding-up petition had been brought by insolvent construction company Holtglen Ltd.
Holtglen had previously been granted a summary judgement for the sum of €20.4 million (amounting to €21.6m with interest), following Dunnes Stores’ failure to become the anchor tenant as agreed of its new Ferrybank shopping centre in Kilkenny. The centre was completed in 2009, but Holtglen later became insolvent and its loans from the Bank of Ireland were transferred to National Asset Management Ltd (NALM), a company of the National Asset Management Agency. The previous month, The Irish Times reported that Dunnes Stores chief Margaret Heffernan said in a letter to Nama that it would be held responsible for the “very significant losses” her company will “inevitably” experience if a petition to wind up the retail giant was pursued. Dunnes described itself as “robustly solvent” but unwilling to pay the money to Holtglen Ltd for several reasons including its concerns about the viability of the centre at Ferrybank, situated outside Waterford city, in Co Kilkenny, the group’s counsel, Brian O’Moore SC, had told the Commercial Court. In her letters to Nama chief executive Brendan McDonagh, Heffernan described the Ferrybank centre as “an unmitigated disaster” and the winding-up petition as “an abuse of process”. She added that the mere presentation of the petition would damage Dunnes and Ireland as a whole. Dunnes said it had already paid some €18 million for the centre following the 2007 agreement and had indicated its willingness to pay another €7.5 million and transfer its rights in the centre to Nama if that was accepted as the end of its obligations. Posted on December 19, 2012, in Other. Bookmark the permalink. Leave a comment.